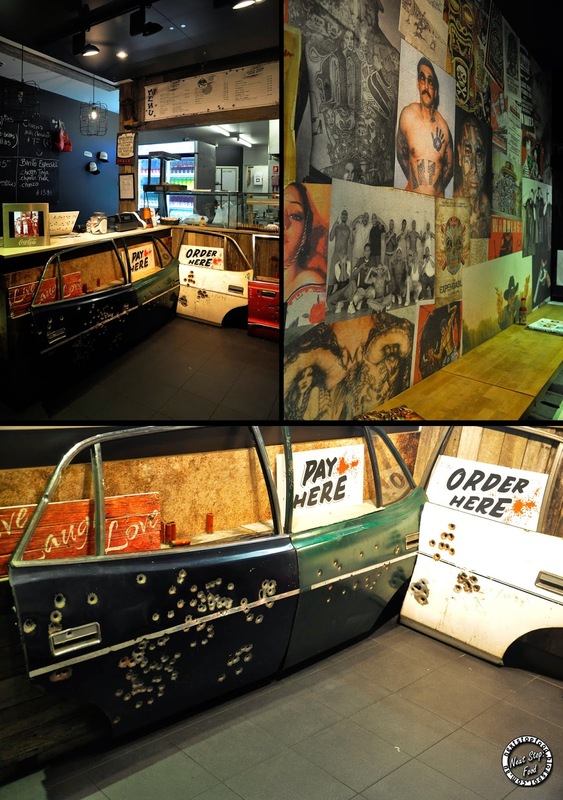 The décor certainly did justice to its name with different pictures of tattooed men as wallpaper and police car doors with bullet holes. Staff also spoke in Spanish to each other so it’s like I was in Mexico mafia zone. Look! Even the chairs have blood on the chairs! And if you feel like it, you can sit on the mafia chair. 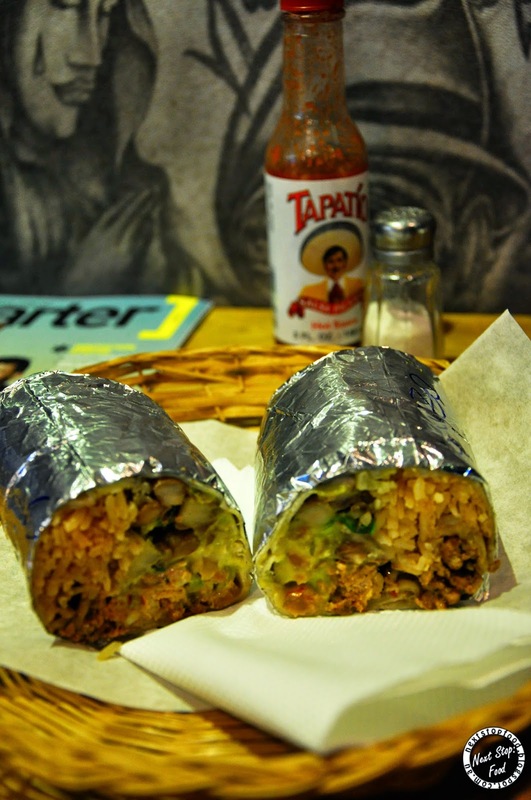 For the burrito, there’s a selection of regular, super and especial. They are all the same size but comes with different things. The regular doesn’t have sour cream nor guac, the super is regular with a side of corn chips and the super has sour cream and guac in it. Never had chorizo so minced before, the flavours were nice with kick of spiciness in it – perfect to warm yourself up with in Winter. The rice was well cooked and not gluggy. Their grilled veggies includes zucchini, corn, eggplant and capsicum. Of course there was the tomato salsa with coriander. It was tasty! The pork was unfortunately dry. The burrito made my dinner enjoyable and the staff was friendly when explaining the menu to us. Note that they do delivery and takeaway too but they don't open during the weekend. Next Stop: Food was invited by Bill to try Taco Mafia's menu. All comments are based on my own opinions. 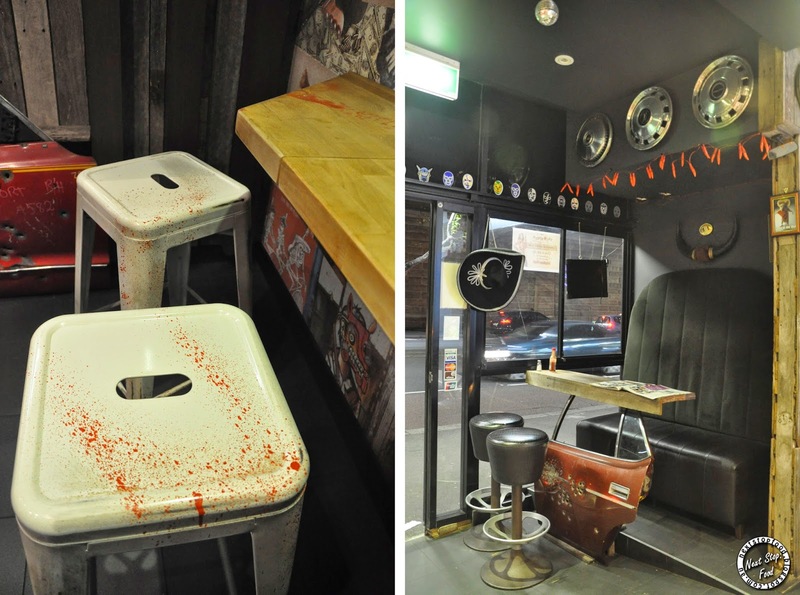 lol the blood-splattered chairs are a nice touch! 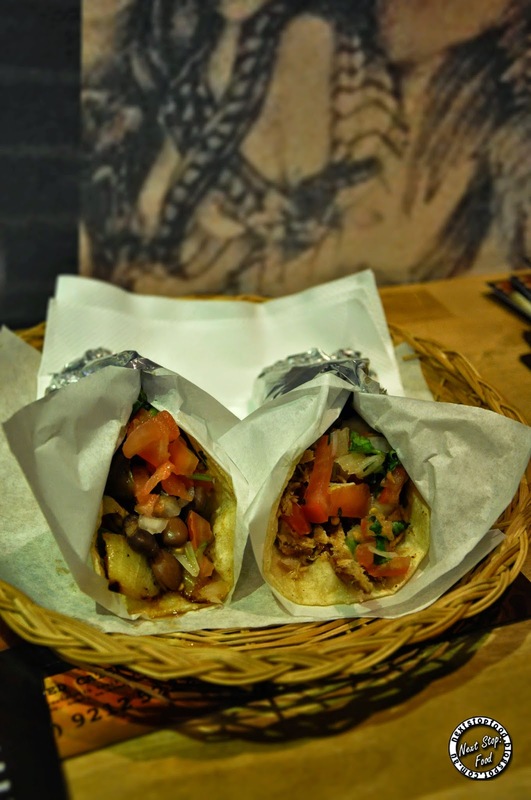 I must say, while it must be riveting to fear being shanked as I eat my taco, this is definitely one of those places for a niche audience indeed. Lol, we felt a bit sketchy when we saw the place but lucky the staff were friendly!